IN THE STUDIO THIS WEEK: BRAND GUIDELINES FOR PROGRESSIVE AQUILA! When you think of creative campaigns for a Nuclear Engineering company would exciting, dynamic and brilliant come to mind? Aquila Nuclear Engineering brings these in bucket loads! 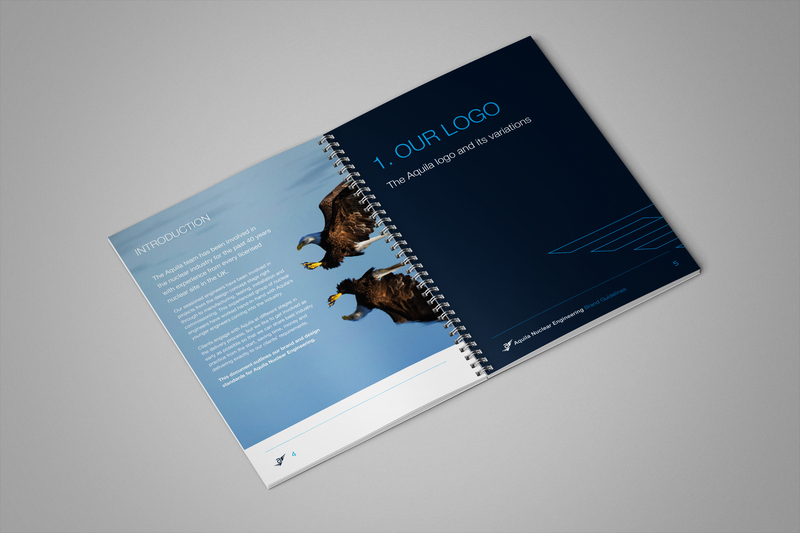 And this week we’re in love with the new Aquila brand guidelines. 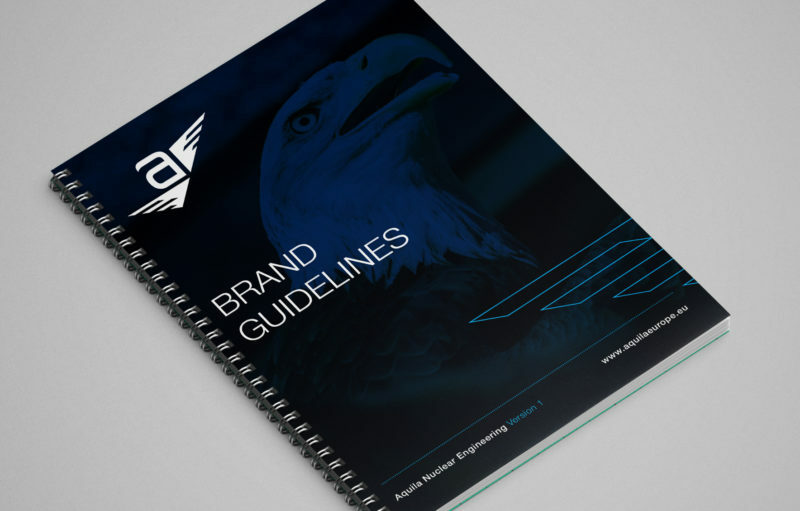 It’s a gorgeous bound manual providing comprehensive instructions for all employees, stakeholders and external marketing forums on how to use the Aquila brand and its components. We’ve worked with Aquila Nuclear Engineering Ltd, part of the Calder Group, the £178m pan-European engineering group since they formed in 2011. We initially created its distinctive brand identity. And since then designed and built a new website, numerous creative campaigns and fun projects too! Just in the past few months, we’ve designed a novelty ale brand ‘Nuclear Ale’, bags, 2018 calendars, and plenty of adverts for nuclear industry publications. At the end of 2017, the growing Aquila, opened another new facility at its offices in Twyford, Hampshire, UK to house their design engineering and project management teams. 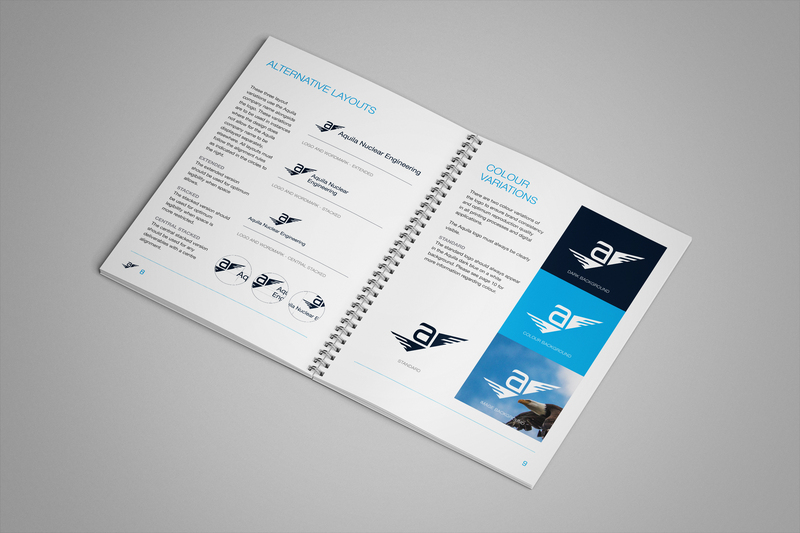 At the Glow studio we’re big advocates of having solid brand guidelines, to protect the strength of the brand. After all, your brand is one of your most important assets and looking after it creates sustained value. Happy days!